IRFMN is a non-profit independent scientific organisation for pharmacological and biomedical research and education founded in 1963 whose aim is to improve the quality of human health and life. Research spans from molecular level to humans through the organisation of large clinical trials in the three main fields: cancer, mental/nervous system disorders and cardiovascular diseases. IRFMN conducts several projects every year for government, national and international organisations including EC. 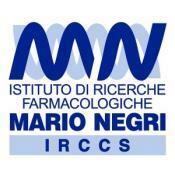 IRFMN has about 900 employees located in 4 different Institutes in Italy. Main areas of interest include epidemiological aspects of acute myocardial infarction, cardiac failure, cardiac arrhythmias, and clinical and epidemiological investigation of cardiovascular prevention, hypertension and stroke. After successful experience of the GISSI-trials (Gruppo Italiano per lo Studio della Sopravvivenza nell'Infarto), the activation of large collaborative networks in the setting of the National Health Service hospitals and in general practice has become a key characteristic of the Department, which can now rely on the permanent collaboration of over 300 clinical groups and of several hundred general practitioners. Firm links have also been established with international leading research groups. In SECURE, IRFMN will act as Coordinator of the Centres participating in the study in Italy. IRFMN was responsible of the coordination in Italy for the FP7 Project FOCUS (Fixed Dose Combination Drug for Secondary Cardiovascular Prevention). IRFMN has a long and extensive experience in the coordination of multicentre clinical trials and pharmaco-epidemiological research in the elderly including the activation of large collaborative networks in the National Health Service which can now count on the permanent collaboration of several Cardiac Departments representative of the overall country. Maria Carla Roncaglioni, Biol Sci Dr: Head of Laboratory for General Practice Research. Amongst others, she gained previous research experience at the Dept. of Biochemistry, Faculty of Medicine, Rijksuniversiteit of Limburg, Maastricht, and at the Cardiovascular Research Unit, Hammersmith Hospital, London. Fields of interest: coordination of multicentre clinical trials and observational studies in different cardiovascular areas. Coordination of a network of more than 1000 GPs involved in epidemiological and experimental studies in the prevention of cardiovascular diseases. She has served on the Steering Committees of several national and international research networks. She was the national coordinator in Italy of the FOCUS (Fixed Dose Combination Drug for Secondary Cardiovascular Prevention) study funded by European Commission in the Seventh Framework Programme and will be the national coordinator of the SECURE clinical trial in Italy. Maria Grazia Franzosi, Biol Sci Dr: Head of the Laboratory. Amongst her research interests are methodology and conduction of clinical trials, drug epidemiology, and epidemiology of risk factors for coronary disease. She is member of the Steering Committee of the GISSI Group (Gruppo Italiano per lo Studio della Sopravvivenza nell'Infarto Miocardico, endorsed by the Mario Negri Institute and the National Association of Hospital Cardiologists, ANMCO). She has served on the Steering Committees of several international research networks. She will be responsible for the selection of clinical sites and investigators in SECURE. Fausto Avanzini, MD: Head of Coronary Care Unit at Desio Hospital (Milano) since February 1998. Since 1988 he has collaborated with the Department of Cardiovascular Research at IRFMN as clinical advisor. Fausto Avanzini has been Head of Coronary Care Unit at Desio Hospital in Milan since February 1998. He has coordinated several multicentre clinical studies in the field of cardiovascular diseases in collaboration with the Associazione Nazionale Medici Cardiologi Ospedalieri (AMNCO), General Practitioners’ Associations and the CECOMET (Centro de Epidemiología Comunitaria y Medicina Tropical, Ecuador). He will be the PI of the SECURE trial in Italy. Marta Baviera, Pharm Dr.: Senior researcher. Marta Baviera works at Laboratory of General Practice Research, Cardiovascular Department, IRCCS- Istituto Ricerche Farmacologiche Mario Negri, Milan, Italy. She is actively involved in the implementation and coordination of multicenter clinical studies in primary and secondary care. She carries out monitoring activity of clinical studies. She is involved in pharmaco-epidemiological analysis of administrative database of large populations. She has been also involved as project manager in FOCUS (Fixed Dose Combination Drug for Secondary Cardiovascular Prevention), a study funded by European Commission in the Seventh Framework Programme. She is the Project manager of the SECURE trial. · Ospedale di Sassuolo S.P.A.
· ASL FG PO "Masselli Mascia"